Microsoft's Surface brand wasn't performing well this time last year, not until the Surface Pro 3 came along. Now Microsoft wants to grab the Surface bull by the horns and has allegedly created a Surface Phone to go alongside it, with the rumours suggesting it's in a prototype stage called "Juggernaught Alpha". With a name like that, Microsoft clearly think this is a big deal. It looks like the phone will sit alongside the Lumia range, and a new report suggests it'll be launching at the start of next year. 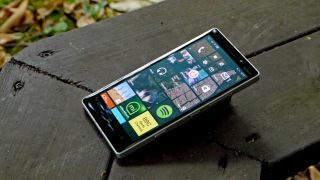 The report suggests the Surface Phone will have a 5.5-inch Clearback AMOLED display with a 1440 x 2560 resolution and an Intel Atom X3 SoC with a quad-core processor. There is 4GB of RAM and 64GB or 128GB of storage with a 21MP camera on the back and 8MP on the front. As for the design it looks like there will be a unibody made of Aluminium-magnesium - that's very different to the Lumia brand classic plastic feel. It'll also include a stylus pen similar to the S Pen found on the Galaxy Note 5 as well as wireless charging. While we should take this rumour with a big pinch of salt, the source is often correct and there have been rumours of a Surface Phone in the past.